The GMB resolution at the Labour Party conference stressed defending employment and social rights and not aligning with the Tories, and was a welcome starting point for what should now be a major issue for Labour’s left, namely determining that Labour’s campaign is distinctively left wing and not indistinguishable from the general In campaign. The Labour No campaign (Labour for Britain) got off to an unfortunate start when it was discovered that it was using the same website as Business for Britain, a right wing campaign. How it will develop remains to be seen, but it is I think reasonable to assume that many of the anti EU but pro-Corbyn left will not choose to be active campaigners on the grounds of not wanting to demonstrate division on an issue where the party is, formally, united. The NO2EU campaign always supported by Bob Crow will presumably once again provide a focus for the anti EU left. The big danger is that the left, because there is little interest in the EU, will allow the Labour In For Britain campaign, in the hands of Alan Johnson, to present something unimaginative and negative, stressing the threat to jobs and the loss of influence that would be a result of leaving, as the general In campaign will do. This is in fact what has happened, in a speech by Johnson at Chatham House, where apart from reference to employment and social rights and how these must be preserved it was largely about our national interest in the form of the economy, investment, security and trade and how these would be threatened by leaving. While these things are true, and they must be our concerns, it is essential that Labour fights a positive campaign for staying in the EU, and for fighting alongside our sister social democratic parties in the Party of European Socialists (PES), the socialist parties in the Party of the European left (PEL), and the trade unions of the EU grouped under the banner of the European Trade Union Confederation (ETUC). It is perhaps worthwhile looking at some of the policies that these organisations stand for. The PES has a range for women, on equal pay, pensions and rights, a Financial Transactions Tax (FTT), co-ordination of efforts against tax avoidance, regulation of the banks, more investment in jobs and minimum income schemes. The PEL supports all of these but with harder policies as would be expected, including the nationalisation of banks requiring bailouts, the blocking of capital movements to tax havens and strong opposition to TTIP. ETUC has a comprehensive range of policies in the form of a manifesto agreed at its recent conference, including the co-ordination of collective bargaining and measures to promote jobs and growth. There is much here that can be fruitfully related to. That the best chance in the world of any advance towards democratic socialism is likely to be from the states of the EU, as socialist and social democratic movements here, although much weakened, diluted and distorted remain more powerful than anywhere else, although that potential is only likely to have any teeth if exercised on a collective basis by all or a majority of the states involved. That even without any such advance the EU is likely to be the best vehicle for the defence of employment and social rights won for its citizens and for curbing or confronting the power of big business. That there is little chance of establishing a viable socialist/social democratic UK outside of the EU. Leaving would only benefit the nationalist/populist right, both here and in the EU. That it must be assumed that the Tories will attempt to negotiate some form of ‘opt out’ that will worsen or end established EU employment and social rights in the UK and that this will be strongly opposed. That Labour will campaign to remain in the EU for these reasons and will seek to promote and support policies alongside its sister parties and trade unions, including defending and promoting employment and social rights, reflating the economy and increasing employment, promoting greater democratic control over EU institutions and subjecting big business to greater control. The lack of interest by the left in the EU, from Jeremy Corbyn downwards I am sorry to say, is quite wrong. It means that an opportunity is surrendered to promote left wing goals and policies, including, dare I say it, international solidarity. I have no illusions that a federal EU, which is fine by me, is on the horizon. National sentiment remains too strong, particularly in the UK. But to abstain on this could help the out camp, which would be a triumph for the nationalist – populist right , here and in the EU. The left should commit itself to the Labour In campaign and press to inject some left wing substance into it. EC referendum: socialists should stay in and fight! Posted in: Europe, International, Labour, Politics. Though I agree we need to stay in the EU, to argue that it will help us protect workers rights bumps into the fact that the Tories are bringing forward harsh TU legislation before the referendum. The only people workers can rely upon to protect their rights is theirselves. To suggest anything else is to disarm workers with false illusions. I voted to come in to the EU, I will be voting to come out and reform a situation where we actually have a common working partnership. I have no interest of the EU making our laws for us when Merkel is the power house. I don’t think you really understand the EU. It is not a law maker, it is merely the middleman, a law taker. The rules are made elsewhere, for the EU to adopt, gold plate them, and then tell us what to do. To take just one example from the many, employment rights are not decided by the EU at all, they are made by the ILO (International Labour Organisation.) where the EU has a seat on our behalf. If only we were not in the EU we would have our very own seat at that top table, and could veto anything we didn’t like, instead of only having one 28th of a vote. And of course being outvoted. The same principle applies with most of the other items which affect us. Vote to leave ! “If only we were not in the EU we would have our very own seat at that top table, and could veto anything we didn’t like”: Oh yes, of course! And then Cameron would have to do what we want, wouldn’t he? Silly me: I never thought of that. Good piece: the pro-Bexit “left” (of the ‘Morning Star’ and Kate Hoey variety) and hopeless, reactionary, little-Englanders. The GMB and Unite leaderships are making a big mistake in playing “clever-clever” by hinting that they might support Brexit. The attacks on Greece should have indicated what the EU really is. In Portugal a coalition of socialists and communists who won the recent election was prevented from taking power due to being anti-EU and anti-Euro. Ukraine too, where the EU worked hand in hand with NATO to bolster the fascist coup was another clear indicator of what we are dealing with here. 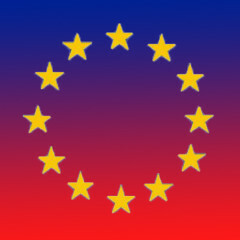 So no, I will NOT be supporting a pro-EU campaign, and that does NOT make me an Little Englander – instead being pro-European and anti-EU is in reality the only option left for socialist internationalism. The position of most of the Left on membership of the EU seems to be frozen in amber. I freely admit that until the shocking behaviour of the Troika in crushing the will of the Greek Syriza government to resist the ransacking of that country to repay the mainly German bank debt and the mainly German mega arms sales to support Greece’s permanent Cold war with fellow NATO ally , Turkey – and the EU’s determination to foist the grossly undemocratic TTIP on us, I too held to the “Stay in the EU and fight for a socialist Europe” stance. Not now though . It would stick in my craw to campaign to stay in what is now clearly a political structure designed primarily to implement the most far-reaching neoliberal politico/economic agenda on behalf of European and global Big Business. We need to seek the greatest possible links with fraternal political parties , and trades unions across Europe, but remaining inside the EU, particularly with the entirely pro Big Capital democracy-denying TTIP (which let us remember it was General Election Labour Party policy to enthusiastically SUPPORT !) implemented, is a route to a complete roadblock for any radical Left economic strategy in the UK. I’m afraid that in the coming era of anti austerity struggle it is still the individual nation state form which will provide the main bastion of resistance to the ever growing predatory might of globalised capitalism in crisis. A radically reforming Jeremy Corbyn government would be chucked out of the EU the minute we tried even mild renationalisation – or stood up to the anti democratic impositions of the then fully in place TTIP structure. The utterly uncritical support for the current EU in the PLP in particular is simply a reflection of its long established Blairite neoliberal ideology and subservience to the priorities of Big Business. Times are rapidly changing though – a new radical Left is rising again within Labour, and our attitude to the EU needs rapid revision. I want us to keep in the EU to work with sister parties to kick Neo-Liberalism out of Europe and I don’t think you can do this with socialism in one country. But instead of a top down Europe we should have a grassroots, bottom up and democratic reformed EC on our progressive and pro-labour terms. Greece was left to stand alone but with a Left majority in EC countries we would have an alternative to austerity but we also need to promote trade unions in every country (and the trade unionisation of migrant workers) and encourage newcomers to join trade unions. The problem stems from New Labour in Britain, this was copied by Labour Parties in the EC and like Labour here people in Europe felt after a while that there too that their Labour didn’t stand for anything anymore and hence the vacuum and rise of the Right. Just a simple example, I had a lovely holiday in Austria a few years ago and near the top of a mountain I visited a beautiful alpine garden – you were supposed to comment on the garden but I had heard how the local central hotel gardens had been open to the public for years but the hotel since being taken over by a US company it had closed them to guests only – I wrote ‘Give the gardens back to the people!’ then carried on to the top of the mountain. Some time later on my way down I passed the alpine garden again and noticed messages saying the same from people from all over Europe! It’s called our agenda and international solidarity! Some of us I guess are more ambitious for the workers of the World! Losing this referendum would instantly turn Cameron’s government into a lame duck administration. That is reason enough on its own to vote OUT. The other reasons which are reasons of principle are that 1. we cannot possibly vote for Cameron’s anti-working class reforms and 2. we cannot as socialists vote for the neo-liberal principles on which the capitalist EU is predicated. The labour movement must vote OUT not for the petit bourgeois protectionist reasons that motivate the UKIPers or the Little Engalnd class collaborationist reasons of the Stalinist NO2EU lot but because we believe that Another Europe is Possible, a socialist Europe, and that the EU is a major obstacle to achieving it. It would be a Europe that does not force workers to chase each others’ tails across the continent in search of ever crappier wages and ever more meagre welfare, a Europe where each member state operates a regime of full employment and pays a European Living Wage. A Europe based on co-operation rather than the competition that is tearing it apart and which eschews its imperialist relationship with Africa and the Middle East in favour of co-development that doesn’t turn the people of those continents into migrants and refugees. In my own view and for some of the reasons outlined above and for other not included; the EU has become little more than a convent vehicle for the imposition of American capitalist foreign and economic policy on Europe in the same way that similar organizations have been co-opted to exactly the same ends across South America, Canada and the Caribbean etc. The outcome will become like states like Nicaragua, Guatemala, El Salvador, Costa Rica and Mexico etc, it process that for which Micheal Meacher coined the useful and appropriate term; economic colonialism. That turned out that way because the electorate decided that under no circumstances should the Lib Dems be rewarded for their treacherous alliance with the Tories. It was Labour’s collaboration with the Tories in Scotland to secure a No vote that got them wiped out up there and if they vote for the EU and its neo-liberal principles that put corporations before people and for Cameron’s `reforms’ Labour will be wiped out in England and Wales too. They will end up with even less Westminster seats than the Lib Dems and socialists will for ever and a day have to shoulder the blame for all the attacks of the EU on the working class in the name of austerity even as it disintegrates in any case. Another Europe is Possible, one built by the workers on socialist principles but the biggest obstacle to that is the capitalist EU. Vote Out – For a socialist Europe. I like others on here have been convinced to move from a reluctant in to a strong out. It is delusional to think that an EU founded on the basis of freeing capitalism can achieve aims remotely compatible with even Social Democracy let alone Socialism. Even without Greece and Portugal, state aid or support for industries are rendered impossible by EU law and nationalizing anything could prove tricky. The original anti-EU people was the left and the 1983 manifesto commited Labour to leaving the EU, if only that election had not been lost. Without going into a huge diatribe, most of those opposing the EU have said it all, Merkel and all the other Neo Liberal governments make it impossible to remain in. To say we can influence other countries on the scale required to get the changes necessary are too remote to contemplate. If we leave we can at least demonstrate here how life could be, absorbed in Europe without the strength to get the changes would set us back by generations, outside we could invite countries like Portugal, Spain, Greece and any other country to join us in a proper European federation that is based on socialist principles, the rest will implode of it’s own accord, why prop it up by negotiations that would end in disaster for us? TTIP is not happening by accident, it is the final link in the Neo-Liberal chain. Finally, using money creation we don’t need to export to survive, so if needs be, we can go it alone. Err, no Mervyn – we definitely WILL need to export , massively, more massively than today with our currently huge earnings from the UK’s bloated parasitic financial sector, in services and goods, to survive, whether we are inside or outside the EU. “People’s Quantitative Easing” for funding key productive infrastructure projects, alongside a range of other Left Keynsian expansionery techniques , and targeted renationalisations of the banking sector, railways and utilities , will give a Left Government the tools for economic growth. But we cannot survive as an autarkic North Korean style isolated economy – so we WILL have to trade widely to survive. Simply printing money in isolation from achieving significant economic growth does simply lead to “Zinbabwe -style” runaway inflation. The Blairites are right on that one point – but obviously they have no conception of a genuinely expansionary Left Keynsian economic strategy , within which a carefully planned level of PQE-type money printing is highly beneficial – ie in a situation of low/negative inflation recessionary conditions and high unemployment . The point is that that our long term economic decline , with an ever growing parasitic banking sector displacing our manufacturing industry and destroying jobs for the mass of people, in well paid productive industries spread equitably across all our UK regions and nations, operating within a comprehensive Left National Plan, cannot be achieved within the neoliberal straightjacket of what the EU has now become. Oops , bit of confusion in my last paragraph – I just meant to say that “Our long term economic decline and closely related over concentration on financial services, cannot be REVERSED unless we adopt a radical Left economic strategy. And membership of the EU and its neoliberal policy straightjacket precludes us doing that” . Hope that is clearer. Of course this is correct. I struggled a bit on why we need to give Blair any credit for this. The balance of payments challenge goes back to an imbalance that began in 1960s – a post Wilson era at least. In fact it used to be the economic indicator of choice until it became fashionable to use growth. Growth can of course be a very dodgy concept since increasing the use of plastic packaging increases growth. Sorry, probably prostitution may be a more appropriate example. It’s good point and well made; however since we now have no industrial manufacturing base left, we would need to create one from the ground up as it were, as japan, (which hasn’t really worked out too well for them in the long run, ) or Germany did after their’s was destroyed by the war, (WW II) and it’s aftermath. Or America, whose own industrial revolution was entirely dependent on protectionism and tariffs, the kind of policies that will become more or less illegal under TTIP and TAFTA, (at least that is my own understanding of them,) condemning us permanently to the kind typical third world low wage service economy on pattern of almost any South American country or in Europe now Greece. I don’t think that any of the points I made have been convincingly answered. Jim Denham/Workers Liberty is right. Leaving would enhance the power of the racist , xenophobic right, while remaining in opens up the possibilities of workers unity on a Europe wide basis. The most seductive argument is made by John Penney, as he argues for a left Keynesian strategy which I broadly support. The problem is that this is not achievable in isolation, but only on a EU basis. This was the argument of those, me included, who supported the AES and leaving in the 70s and 80s. It might have worked then, although in hindsight I doubt it. It certainly won’t today. Not sure I understand why workers need the remote Institutions of the EU to stop them being the xenonophic right or racists. What has the EU got to do with solidarity? When anybody says Jim Denham is right you know they are wrong. Sucking up to imperialism and Zionism is the way he does business. As for left keynesianism what don’t you understand about the glutting of world markets? Stimulation will create more over production just as austerity exaggerates what there already is. We need socialists on this page not capitalist techies. David, your economics is deeply flawed – in a world recession (which is where the world economy is currently – just look at the collapsing demand for steel and copper as an exemplar) there always appears to be a “glutting of world markets”. This is an illusion of capitalist crisis – always. There is currently a pressing need for new major productive infrastructure projects across the world (never mind basic goods and services for the mass of peole in poverty of course) – and in our UK example we need to invest in millions of new and refurbished homes, enhanced broadband infrastructure, and new electricity production, including tidal barrages, wind power. hydroelectric, and , horror of horrors – actually look again at nuclear power – possibly developing thorium based reactors. There is no shortage of real NEED, it is neoliberalism (and yes OK the underlying systemic crisis of profitability if I put the Marxist analysis hat on) which is draining spending power from the pockets of the mass of consumers/workers and pouring it into the pockets of the superrich – to spend on sterile property bubbles and speculation. It is hopelessly ultraleft to reject the idea that the UK can’t pursue an expansionary Left Keynsian economic strategy under a democratic Left Labour government. Saying “nothing can be done , except on a all EU basis” is as useless as that usual old ultraleft mantra that only a coordinated , all at once, world-wide revolution can bring socialism about”. Behind this grandiose phrasemongering lurks a profound passivity and hopelessness – an invitation to sit in the pub pontificating – but do nothing. I opt for fighting for a radical Left government in the UK with an expansionary Left Keynsian economic policy , in the foreseeable future, maybe even 2020. The current solidly neoliberal, undemocratic EU set up is simply a roadblock to such a government. So we have to leave ASAP. We don’t need to be in the EU to solidarise with Left parties,trades unions, or even new Left governments, in Europe. This is the only question we need to worry about: in whose image is a post-Brexit Britain and a post-EU Europe going to be remade. Will it be in accordance with the wishes and programme of the British and European working class or the deluded petit-bourgeois protectionists of UKIP and other European far right movements led by the nose by big capital? One thing is for sure, the EU is over. One can already discern the re-emergence of the old axis/allies (or Euro, non-Euro) type fault lines. For socialists to vote positively for this crumbling relic and for the anti-working class principles upon which it is predicated will set the cause of socialism back perhaps permanently in Britain. At the same time unlike the Stalinist little englanders and mock Kippers we do believe that Another Europe is Possible and absolutely essential. My view is I think realistic and credible, rather than pessimistic, but it’s hardly ultra left.As I have said I support a left Keynesian policy as described by John, but much of this could be carried out by a UK government within the EU, as not being in the Eurozone gives us much greater flexibility. Leaving the EU would be likely to boost the nationalist right, but even if a left government was returned in 2020 it would face enormous problems as foreign owned banks and car manufacturers relocated to the EU and unemployment rocketed. The UK would beat the mercy of international capital. Better to fight alongside other left parties, governments and trade unions in the EU for the reforms that would enable the policies that John advocates to be carried out. We can and should fight alongside Left parties whether in the EU or not. Being in the EU offers nothing much more in that fight. Observation of the passivity of MEPs perhaps suggests that being in the EU just absorbs some of that energy leaving them bored and concerned only with the trivia. There is no effective ‘voice at the table’ because the Institutions are bound up with self interest. I am acutely aware of the pro-capitalist nature of the EU. But then I am also aware of the pro-capitalist nature of the British parliament. That does not make me withdraw from the national democratic process (for all its many limitations) so I am not sure why it would be an argument for withdrawing from the EU democratic process (for all of its many limitations). What none of the comments above advocating exit do is to consider what exit means. If we were to exit what would our relationship with the EU be and what status would we seek with respect to it? Without answering that the argument for exit has very little substance. Too many socialists continue with a 45 year-long adaptation to Stalinism and nationalism by advocating the British state withdraw from the European Union (EU) in the forthcoming referendum. The standard leftist anti-EUI script reads that “the EU really is a capitalists’ club … an agreement between the different national capitalist classes of Europe, with the aim of creating a large arena for big business across Europe to conduct their hunt for profits with as few barriers as possible”. This description is accurate. However this is true of almost every institution within capitalism, to the point where it is largely a platitude. The missing element is the political economy of capitalism, which strives towards further concentration. This means capitalist states are driven towards integration, as well as towards conflict and war. Which tendency wins out is not predetermined. More significantly, serious socialist political analysis (ie: Marxism) takes the existing reality as its point of departure. It should never be part of the socialist programme to turn the clock back to an earlier stage of capitalism, but rather to push through the actual tendencies of capital and work on the existing terrain of capitalism to fight for workers’ power. Capital and its states have made limited steps towards integration, meaning there are now some common links and chains melding workers across Europe together. These connections are the material basis for working class internationalism: workers face common enemies on a common terrain. Workers cannot win major reforms or even hold power for long in one country alone in Europe because of those ties of capital. International solidarity is not luxury but an absolute necessity in today’s class battles and in tomorrow’s fight for power. Abstractly in principle, Marxists therefore favour European integration, even on a capitalist basis. What tactical stance should socialists take in EU referenda? Again, it is the concrete circumstances that condition our view. In the current situation, some sections of British capital, both in finance and industry, no longer regard Europe as the main market and look to wider global links, with both the US, especially the BRICs and to other states, including those former British empire states that belong to the Commonwealth. These sections of capital believe they can profit more from trade deals and relations beyond Europe. However these Eurosceptics are clear that workers in Britain will have to suffer a historic reduction in living standards, pay and conditions to make them fit for this new capitalist global utopia. If British capital is to thrive outside the EU then workers will have to pay with more flexibility, more insecurity and mobility, less regulation and less protection. The world for workers in Britain (and across Europe) immediately after Brexit will be a cold, harsh world of cuts, unemployment and hard labour. In these circumstances, workers in Britain face a lesser-evil choice: either remain in the neoliberal EU, with some protections and some links with other European workers; or cast out and face the unbridled onslaught of globalising capital. In these circumstances, a vote to remain within the EU makes tactical sense, defending the gains won and fighting to level up alongside other workers across the continent. Corbyn will have a lot more problems to contend with than shrieks from the EU if he enacted these measures. In advance, he would have to explain to workers in France and Germany, who work for Deutsche Bahn, Eon, EDF and other firms owned by capitalists and their states in Europe what he was doing and what it meant for them. He would have to appeal for solidarity with workers in Europe as the necessary counterweight to the hostility of European capital. The pro-EU stance helps that; the “leave the EU” position cuts across it. It is not much of a pan-European programme to lay down the minimum wage denominated in pounds sterling and it is no answer to recycle the myth that wages and public services are threatened by migration. Workers living standards are threatened by capitalists and their states – not by other workers moving to better their own situation. Concessions to chauvinism divide the working class, making a consistent internationalism impossible. The danger of a “left” anti-EU campaign is that it provides the ideological and organisational vehicle for workers to capitulate to nationalism, facilitating a far worse outcome outside after Brexit. This path will set back the labour movement in Britain and across Europe by decades. The real job of the serious left is to forge an internationalist consciousness within the working class of Europe that can challenge and then take power from our common capitalist enemies.